Police Scotland says 360 officers will be made available from the middle of March. Police are preparing for the UK's scheduled exit from the EU. 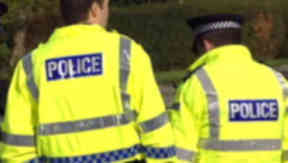 Police Scotland has confirmed plans to put 360 officers on standby to deal with incidents that may arise because of Brexit. The UK is due to leave the EU on Friday March 29 and the force hopes to have the officers available from mid-March. They would deal with any incidents related to the potential impact of Brexit, such as protests and disruption at ports, and would also be available to deployed elsewhere in Britain on a mutual aid basis. Deputy chief constable Will Kerr was briefing members of the Scottish Police Authority (SPA) at a meeting in Glasgow on Wednesday, with planning based on identifying "reasonable worst case scenarios" in the possible event of a no-deal Brexit. "These officers will be deployed to local policing duties when not required for policing purposes related to Brexit." Officers will be drawn from local and national divisions and from back office functions, with a multi-agency control centre also being set up in a Police Scotland control room at Bilston Glen, Midlothian. At an SPA board meeting in Kilmarnock last week, chief constable Iain Livingstone confirmed previous plans to cut 300 officers from the force had been dropped. It came amid a recruitment drive launched on social media at the start of the year to recruit an additional 100 officers. Susan Deacon, SPA chairwoman, said: "These contingency plans can give the public confidence that our police service is well prepared to deal with the potential implications of the UK's exit from the EU."